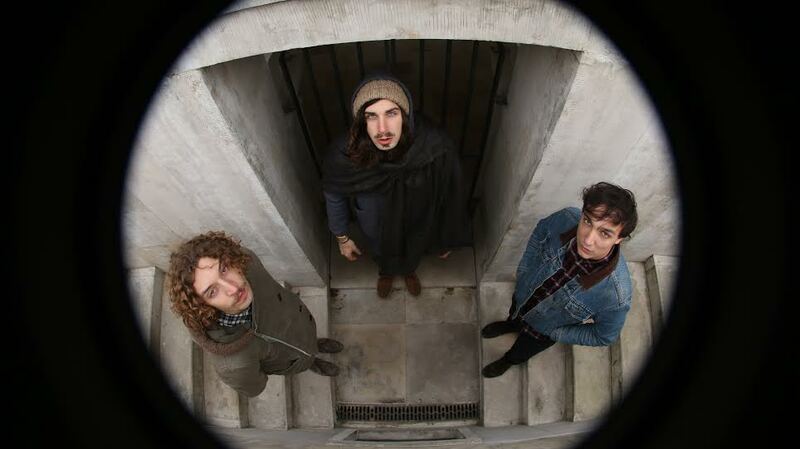 Italian Fuzz Psychedelic band Go!Zilla released their second album ‘Sinking In Your Sea’ in April. ‘Sinking in Your Sea’ is an LP that mixes Grunge, Psychedelic music and Punk with a lot of melodies inside, has been in fact defined “GRUNGEDELIC” album. With the addition of a second guitar playing a mix of bass and guitar tunes depending on tracks, the atmosphere of the album is a definitive go!zilla style balanced between fast and more melodic tracks. The album offers 10 tracks drenched in fuzz, and it includes influences that are formed around a rock based sound. With plenty of distortion throughout, little episodes of a pyschedelic vibe and some great guitar hooks, this is certainly an album you are going to want to hear. Go!Zilla are an Italian Fuzz Psychedelic Punk band based in Firenze, Italy and composed by Luca Landi (guitar/vocasl), Fabio Ricciolo (drum/vocals) and Mattia Biagiotti (guitar/vocal), and takes inspiration from the psychedelic Nuggets till the 90’s grunge guitars with a strong punk attitude. In less than 2 years, the band has toured all over Europe for a total of more than 250 shows sharing the stage with bands such as The Night Beats, The Sonics, Crocodiles, Thee Oh Sees and more. Their show highlights are Primavera Sound Festival 2013 (ES), Marvin Festival 2014 (MX), Paris Psychedelic Festival 2014, Binic Folk Blues Festival 2014 (FR). ‘Sinking In Your Sea’ is available in digital download or CD format from their bandcamp page.